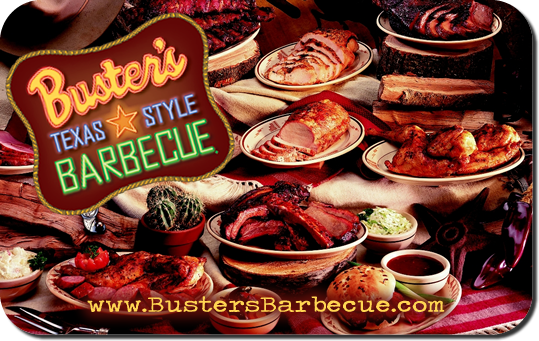 Buster's Gift Cards are perfect gifts for holidays or any time of year. Introduce family and friends to Buster's and they're bound to love you as much as they love our food. Of course giving Buster's Gift Cards to those who are already Buster's fans isn't a bad idea either. Purchase in any denomination in our restaurants. Or, use the link below to securely purchase online. Use the link above to purchase Buster’s “eGift” Cards to be delivered electronically to you or your recipient. Buster’s “eGift” Cards are available in any value from $5 to $250 and can be printed at home or presented on a smart phone. Buster’s Gift Cards will also be available soon in Portland and Vancouver area Safeway, Fred Meyer and QFC stores.